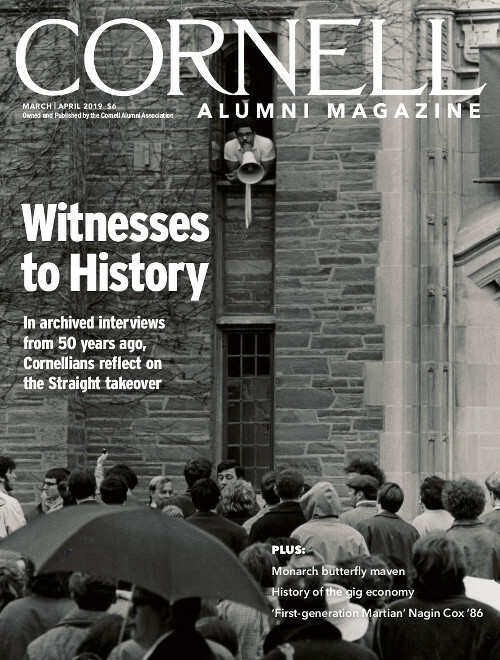 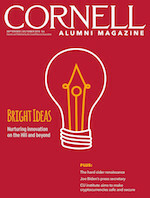 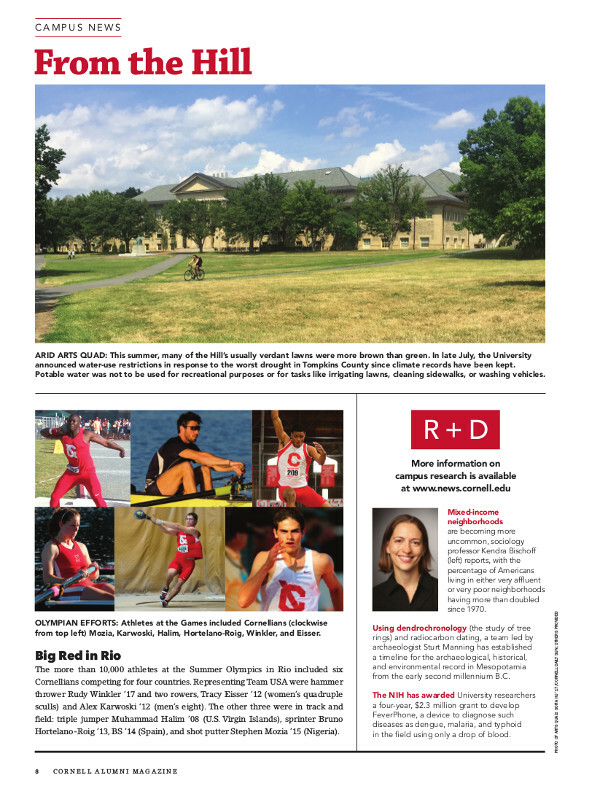 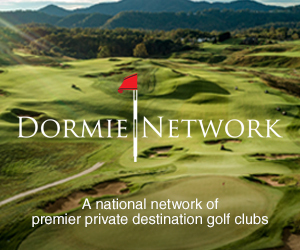 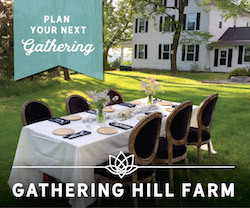 On innovative Cornellians, an architect par excellence, craft cider boom, Reunion, and more. 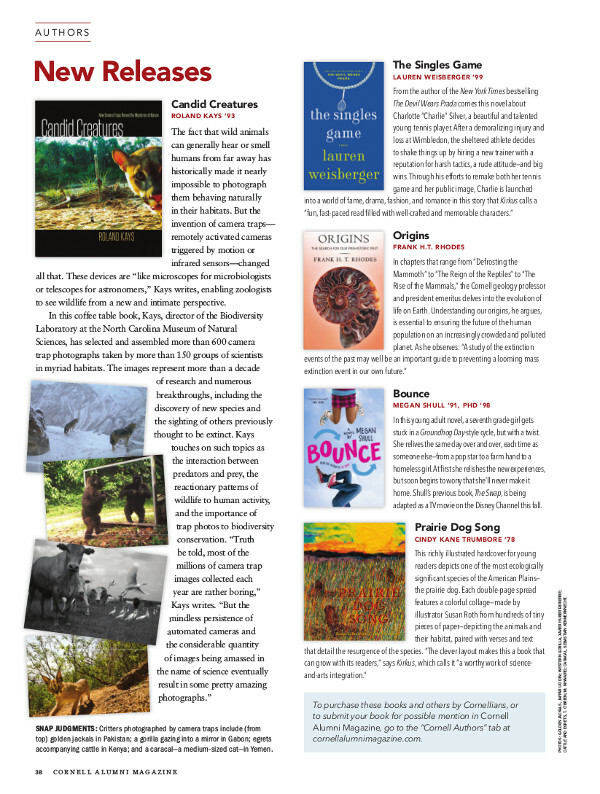 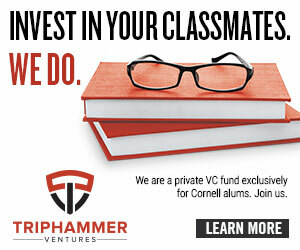 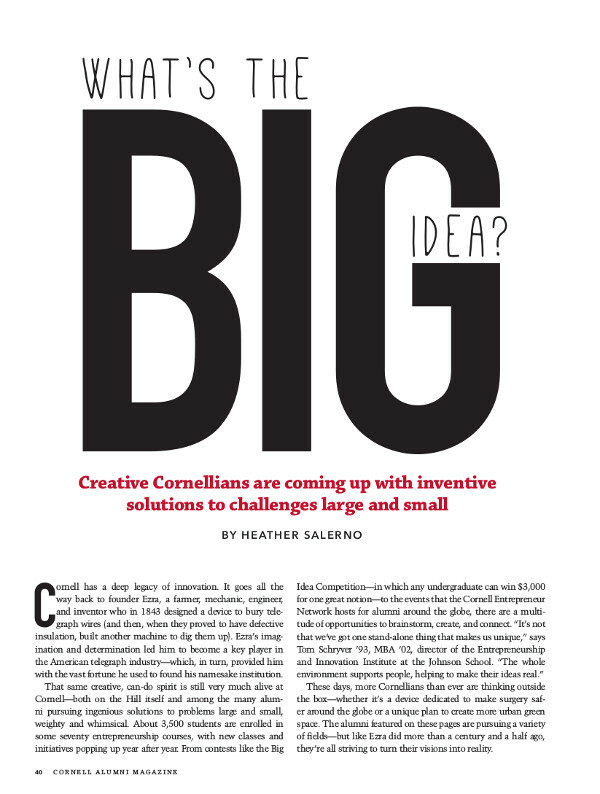 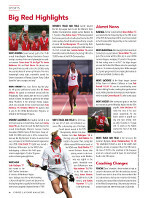 Creative Cornellians are coming up with inventive solutions to challenges large and small. 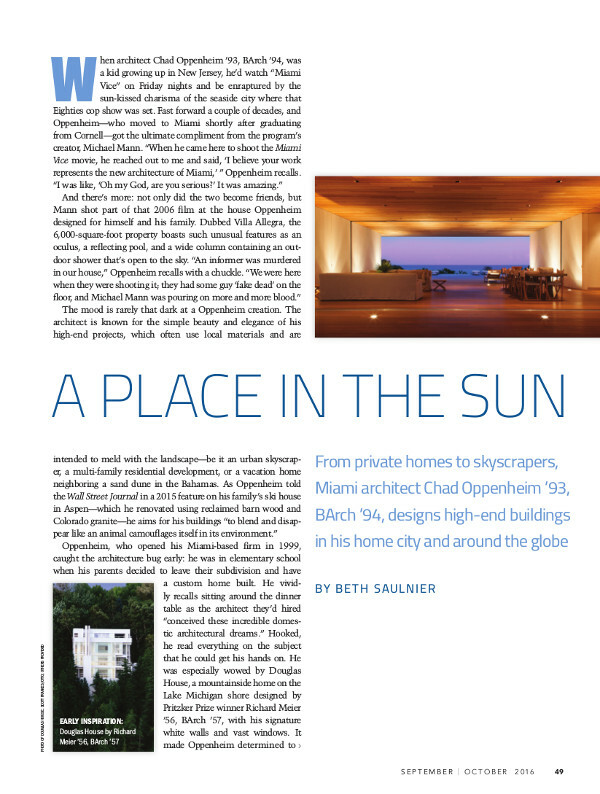 From private homes to skyscrapers, Miami architect Chad Oppenheim ’93, BArch ’94, designs high-end buildings in his home city and around the globe. 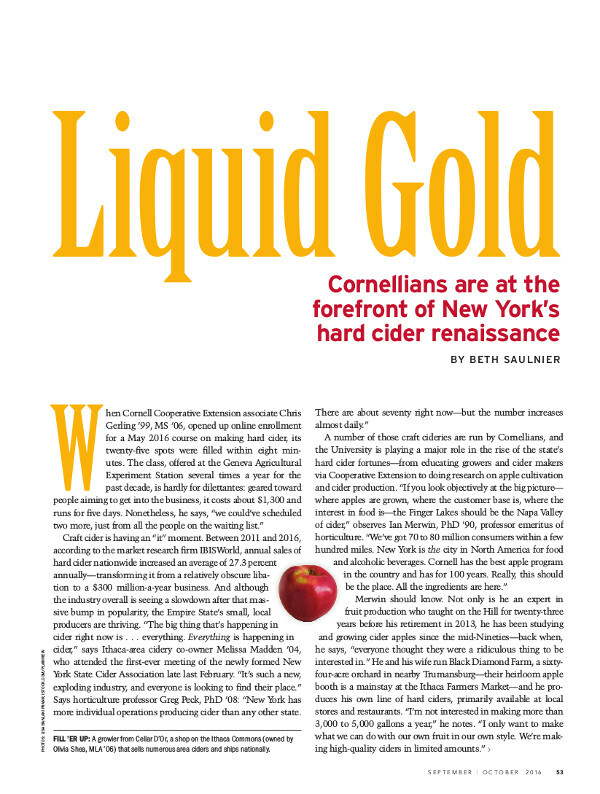 Cornellians are at the forefront of New York’s hard cider renaissance. 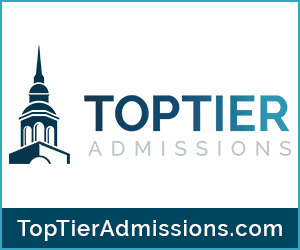 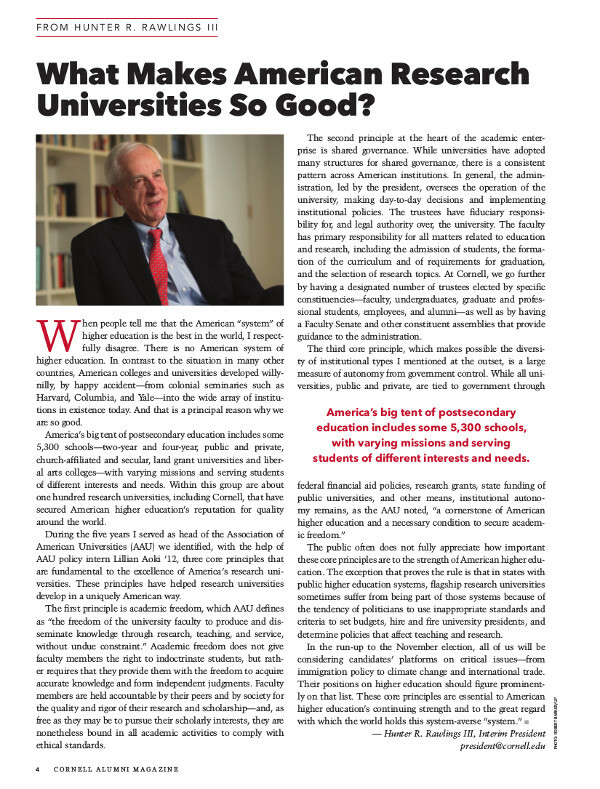 What Makes American Research Universities So Good? 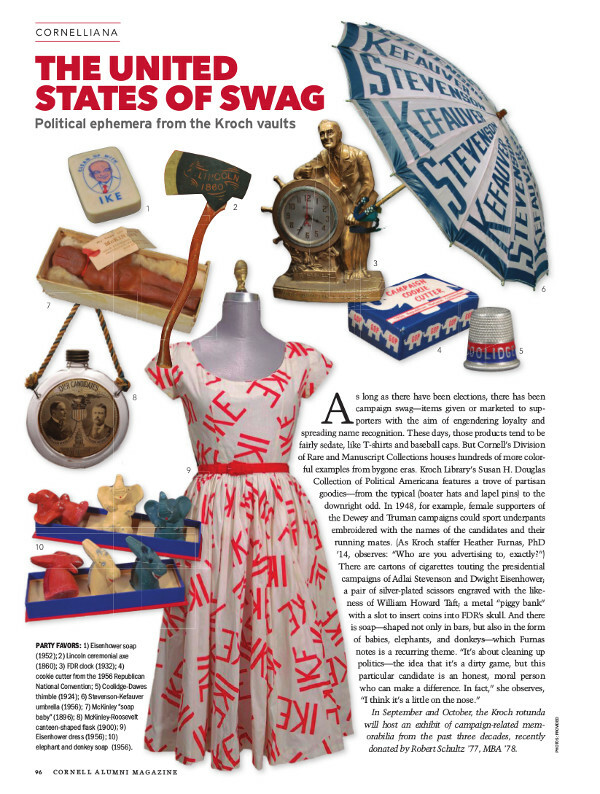 The United States of Swag: Political ephemera from the Kroch vaults. 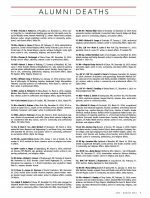 Obituaries received through August 2016. 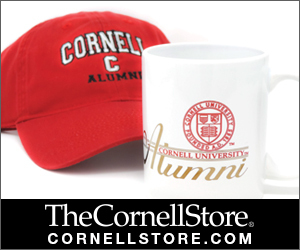 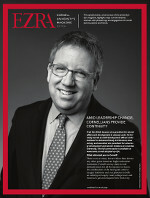 A conversation with Fred Van Sickle, VP for Alumni Affairs and Development. 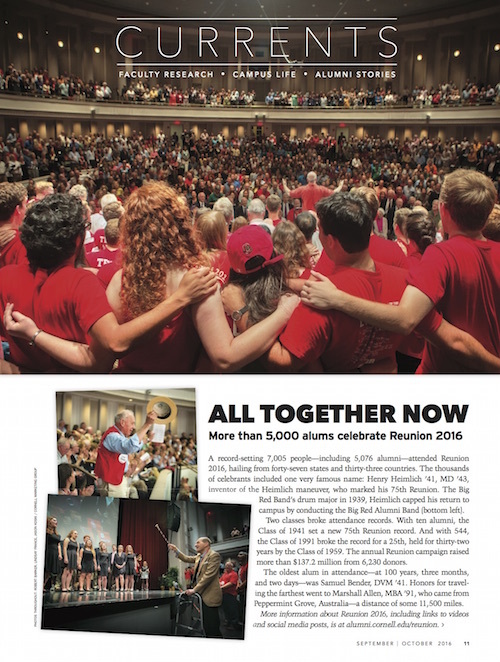 More than 5,000 alums celebrate Reunion 2016. 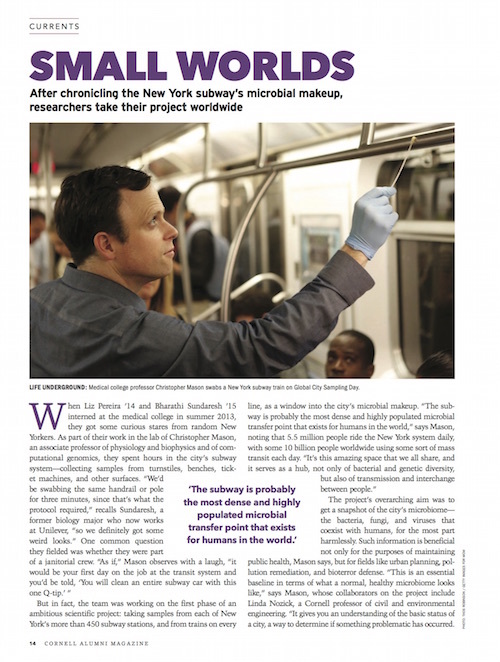 After chronicling the New York subway’s microbial makeup, researchers take their project worldwide. 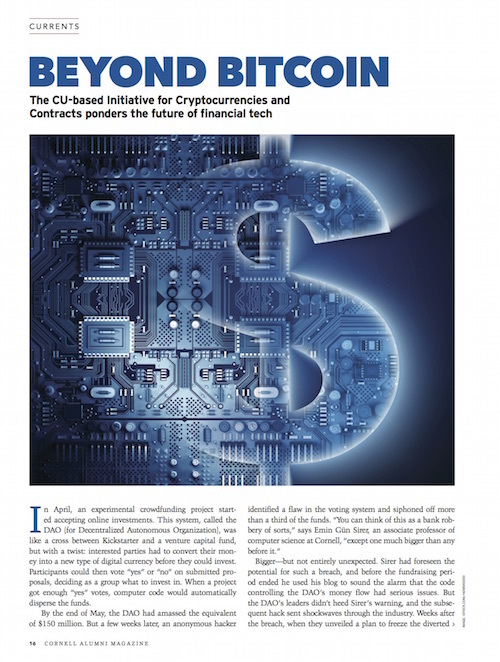 The CU-based Initiative for Cryptocurrencies and Contracts ponders the future of financial tech. 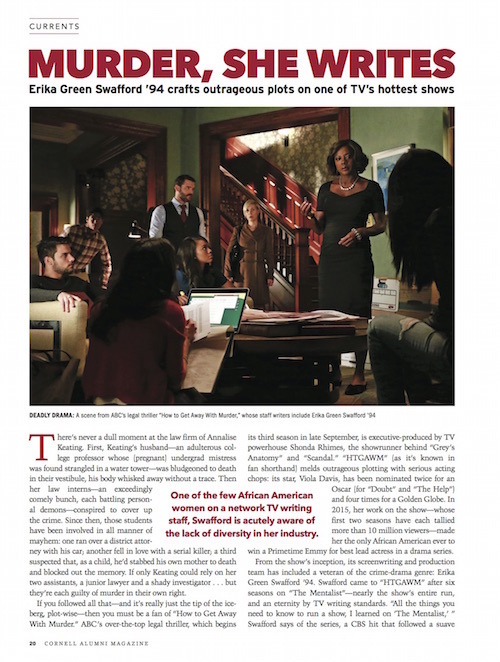 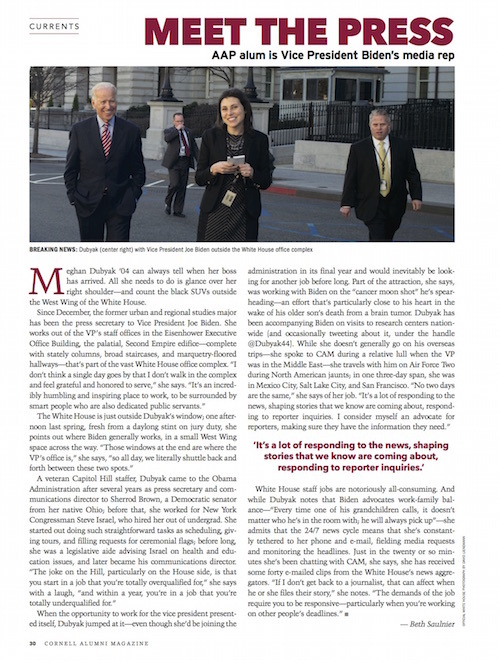 Erika Green Swafford ’94 crafts outrageous plots on one of TV’s hottest shows. 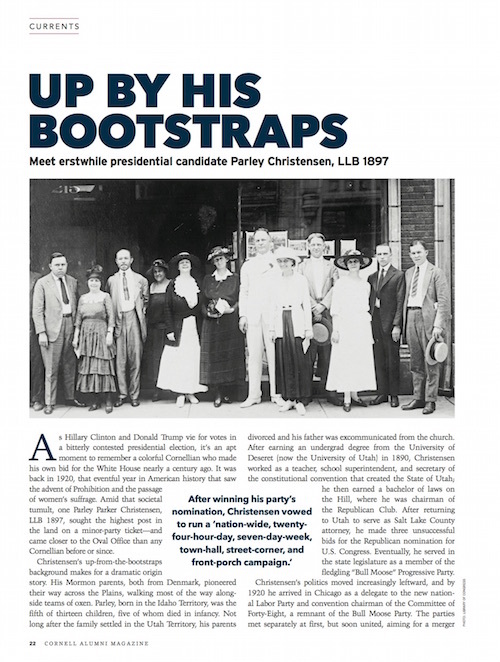 Meet erstwhile presidential candidate Parley Christensen, LLB 1897. 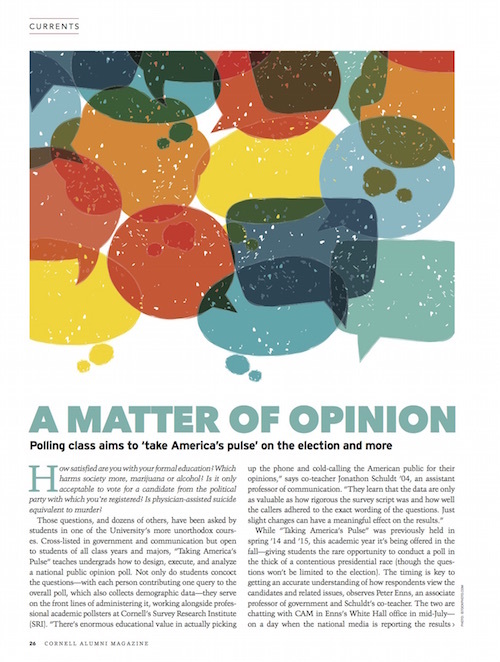 Polling class aims to ‘take America’s pulse’ on the election and more. 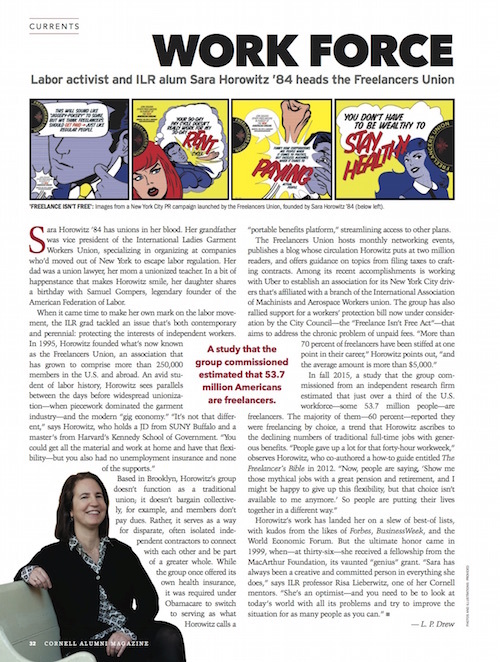 AAP alum is Vice President Biden’s media rep.
Labor activist and ILR alum Sara Horowitz ’84 heads the Freelancers Union. 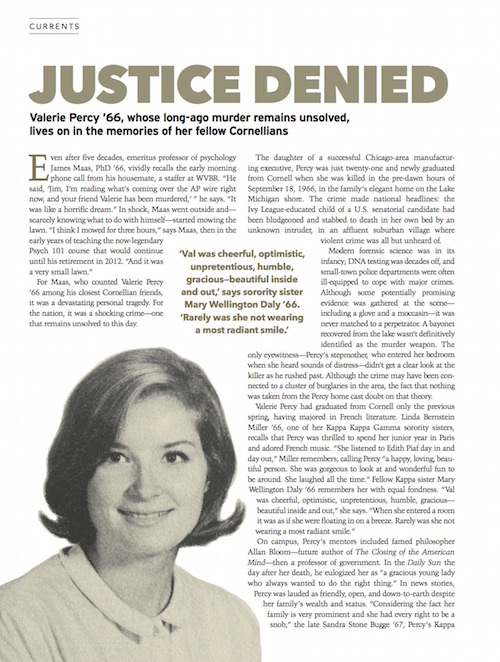 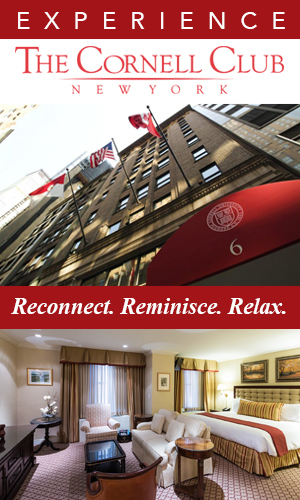 Valerie Percy ’66, whose long-ago murder remains unsolved, lives on in the memories of her fellow Cornellians.